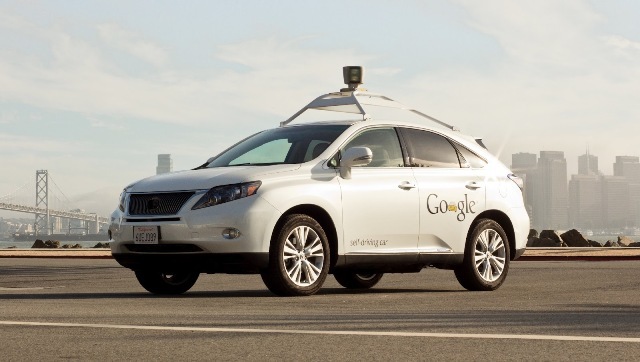 Google self-driving Lexus covered 500,000 miles under robotic control. Photo via Extremetech.com. Public transport advocates and professionals are well aware of robocar technology and have been analyzing its implications — with the assessment that, while technological innocation will undounbtedly introduce changes in travel options, there’s no basis for believing that rail and other public transport modes will be made obsolete by robocars anytime soon. Light Rail Now technical consultant and contributing editor Lyndon Henry has discussed some of the implications of robocars in two articles on the AllAnalytics.com website: That Robot Is Derailing My Train and Sterilize Your City for the Robocar Revolution? Transport planner/researcher Todd Litman, head of the Victoria Transport Planning Institute, has also issued an excellent analysis titled Autonomous Vehicle Implementation Predictions. These analyses raise both daunting technical and policy issues which suggest major obstacles to predictions of a tsunami of self-driving cars that will flood cities and usurp mass transport services. In the following post, Bill Heger, an authoritative and influential St. Louis rail passenger advocate, offers his own rebuttal to O’Toole’s counsel to cities to put transit planning and project development on hold while awaiting the Robocar Revolution just over the horizon. His narrative not only challenges some of the glib chicanery against rail transit development presented by O’Toole, but also expresses in a down-to-earth way several of the major complex issues that currently confront robocar technology and its implementation. I see a lot of things wrong with what Randal O’Toole is saying in this article. First he complains about how long it takes to get transportation projects done. Has it occurred to him how much bureaucracy and red tape you have to go through just get a project started? This fact is just as true for a road project as it is for a rail transit project. In fact, it’s usually people like O’Toole who come along and try to screw things up when you build a rail project, thus making the costs go up and dragging the construction time out. Case in point: Here in St. Louis the original plan for the Shrewsbury Metrolink extension called for almost all surface construction. However, a group of arrogant and uninformed neighbors banded together and insisted that large portions of the line be placed underground. Once construction started, the crews ran into several underground utilities which did not show up on any plats. The project failed to come in on time or at budget because the transit company was not allowed to build it on the surface. Another thing O’Toole leaves out is the energy impact these self-driving cars will have. Nowhere does he mention what will power these cars. Will they be standard gasoline engines, diesel, hybrid, fuel cells, electric? He does not say. Considering that one time he posted something once highly critical of the Toyota Prius, I suspect he would be opposed to anything other than gasoline standard internal combustion. This leads into the next question: Where is all that gasoline supposed to come from? Oh sure, the powers that be now try to insist that the United States is currently nearly self-sufficient in oil. But if that’s the case, why are we still spending billions of dollars defending a bunch of third-rate dictatorships in the Mideast? It certainly was not to bring democracy to the region. Just ask the Iraqis. A further question O’Toole neglects is: Will people really want self-driving cars? Part of the whole appeal of the automotive culture is the word AUTO. It means self. A large part of the automotive culture is the idea of self-mobility; the fact that you are in control. Furthermore, the automakers have wanted to convince the consuming public that they are building a car just for you. That’s why GM had 5 auto lines, Ford Chrysler and VW had three, and virtually all the other auto manufacturers existed. It’s your car. I even know of some people that still insist on manual transmissions because they want that much control. O’Toole is a free market conservative. What if the free market says No to self-driving cars? This point leads to another libertarian contradiction. Libertarians are always big on people doing their own thing. They oppose drug enforcement, they are pro-choice, and they are generally opposed to the government doing anything other than providing for the common defense. I knew of one libertarian that even wanted to privatize the military. If their whole philosophy is one of the individual making their own choices, then don’t self-driving cars fly right in the face of that philosophy? Can you say “hypocrites”, boys and girls? Sure, I knew you could. 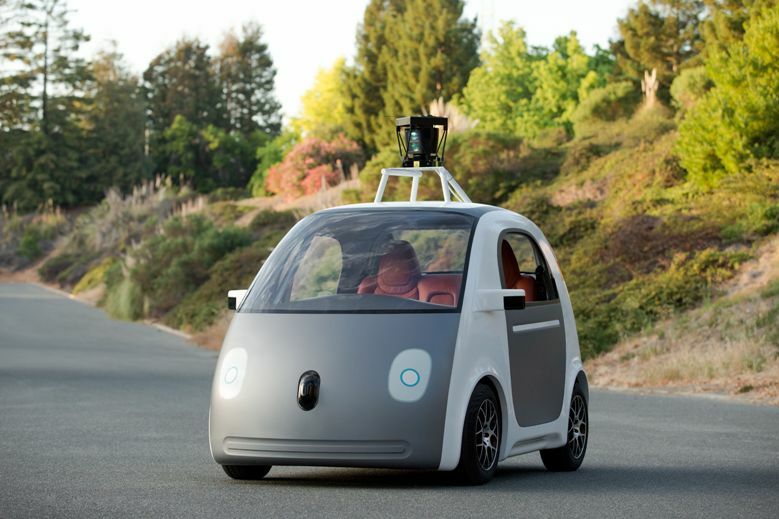 Furthermore, who is going to control the mechanisms that govern these self-driving cars? Nowhere in his article did O’Toole address who would be in control. Does the Federal highway administration set up some central control center? Does each state set up their own control system with federal oversight? How do you guarantee each state’s system is compatible with the others? Thrill of the open road? Latest version of Google robocar comes without steering wheel, brake pedal, or accelerator pedal — car will drive humans, humans won’t be able to drive car. Thinking among robocar technology developers is that human control must be eliminated for safety reasons. Photo via Recode.net. And finally, who and how do you pay for all of this? O’Toole and his fellow thinkers love to complain about the costs of rail projects. How much is his driverless car system going to cost? I don’t recall seeing any figures. Finally, the next generation coming up may not even be able to afford a car, whether that car is conventional or driverless. Most likely, they will not make the money their parents made and they may be entirely responsible for their own retirement and health insurance. Where is the money for a car supposed to come from? Furthermore, if they have kids, that only means even less income. A car is almost out of the picture. In a May 28th post, the Energy Skeptic blog highlighted with its title the fact that “Expressways & Interstates are only designed to last for 20 years”. In August, the U.S. Highway Trust Fund — the major federal funding mechanism for the nation’s transportation system — will become insolvent unless Congress acts. 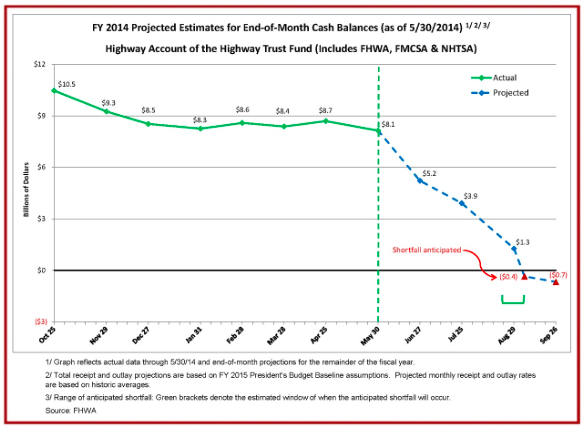 Chart: FHWA, via Streetsblog. We should see this as dismal news for roads and transit short-run, but good long-run news for rail, which lasts much longer, and is far more energy-efficient for hauling people or freight. Politics can hold out against economic reality for only so long. While the U.S. roads keep falling apart, due to their intrinsically high upkeep and poor economics, and with a funding gap the federal and state fuel taxes cannot now cover, we will soon be obliged to turn toward rail — assuming we even still afford rail as our Plan B in this context. The U.S. will remain the world’s biggest oil producer this year after overtaking Saudi Arabia and Russia as extraction of energy from shale rock spurs the nation’s economic recovery, Bank of America Corp. said. U.S. production of crude oil, along with liquids separated from natural gas, surpassed all other countries this year with daily output exceeding 11 million barrels in the first quarter, the bank said in a report today. The country became the world’s largest natural gas producer in 2010. The International Energy Agency said in June that the U.S. was the biggest producer of oil and natural gas liquids.